Trinity with Spikes--Three skulls nestled in a nest of protective spikes. Three is a traditional number for a guardian because it can perceive what is happening in all directions. Perfect for over a doorway or over a mantelpiece to create an air of unrest. 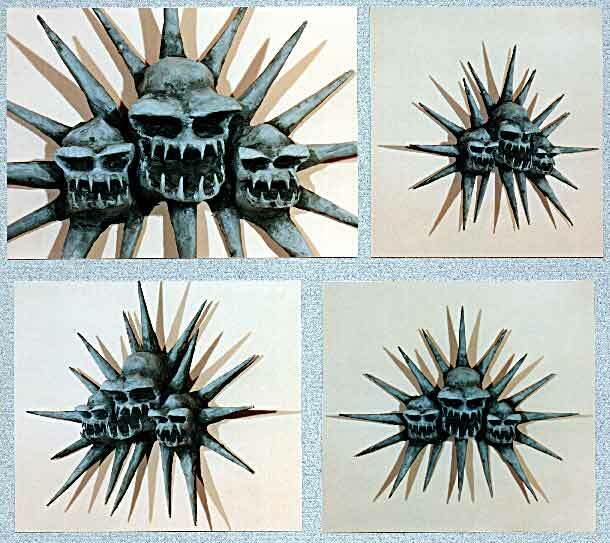 Three skulls nestled in protective spikes.